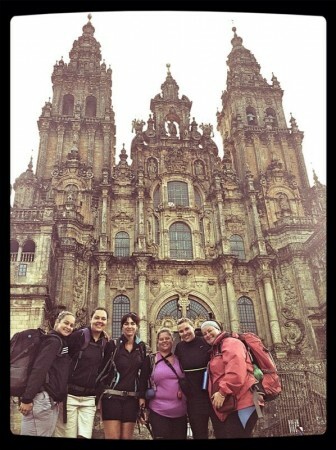 A year ago six women decided to walk the Camino de Santiago, the pilgrim’s journey from Saint-Jean-Pied-de-Port in France to the cathedral in Santiago, Spain. The purpose of the walk would be to make people aware of the impact and far-reaching effects of human trafficking. 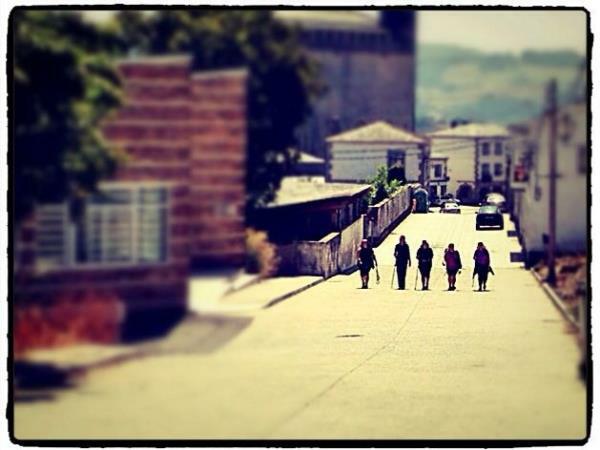 In August 2012 five women and I decided to walk the Camino de Santiago, the pilgrim’s journey from Saint-Jean-Pied-de-Port in France to the cathedral in Santiago, Spain. The purpose of the walk would be to make people aware of the impact and far-reaching effects of human trafficking and raise funds for A21, a welfare organisation dedicated to limiting trafficking and giving victims a safe place to stay on their road to recovery. The Way of St James, or the Camino de Santiago, is one of the greatest Christian pilgrims’ journeys in the world after Rome and Jerusalem, and stretches for 800 km from Saint-Jean-Pied-de-Port in France to Santiago in northern Spain. Pilgrims have walked this route since the ninth century and are recognised by a scallop shell worn on their backpacks or clothing. Each pilgrim carries a passport that gets stamped at the towns along the route to show he or she has completed 100 km, the minimum distance expected. 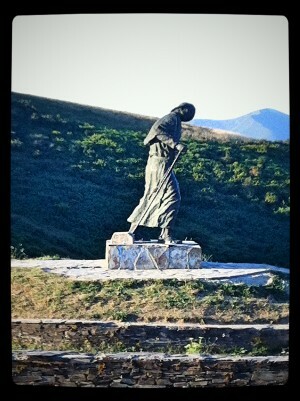 Pilgrims decide on their own pace and route but are united by the goal of reaching Santiago in one piece. After a year’s planning and many fundraising activities, Danel Jansen van Rensburg, Debbie Copping, Marne Reynecke, Melanie van Rooyen, Moreen Barnard and I left England for Burgos in Spain. We wanted to cover 550 km in four weeks. From Burgos to Astorga we were greeted by fields of sunflowers, farmlands and kilometres of flat land without a shadow, just one or two lost, steep hillocks. With every step closer to Astorga we became aware of the mountains on the horizon. The next 270 km were a combination of steep uphills and downhills, blisters, sore muscles, breathtaking landscapes, welcome resting places, sweet springs and merciless mountain roads. Although our experiences were too many to list, there were moments that will forever be etched in our mind’s eye. A sunrise near Manjarin at the foot of a cross, the oasis and summer festival in Molinaseca and the canary yellow house beside the mountain stream in Villafranca del Bierzo. After that there was the 1 000-m climb to O’Cebreiro, the pilgrims’ mass at the top of the mountain, the sunset over the monestary in Samos and many pilgrim’s meals and sangria. Next in line was the mountain fortress of Portomarin and the unexpected steak and chairs for our exhausted selves in Salceda. In Monte do Gozo, 4 km from Santiago, on the eve before the end of our route, we were in the company of 350 other pilgrims. Never ask a local Spaniard how far you still have to walk or how flat the road is; they live in the mountains and everything is flat and only a 15-minute walk. Every one of us has incredible inner strength, but sometimes it takes more strength to say, “I can’t go on” than it does to keep going. Be grateful for every blessing on the road, from the person who gives you water from a hosepipe to a bush big enough for . . . peace and quiet. Even 550 km is covered one step at a time. A guidebook is so named for a reason; you must search for your own truth. The most important truth: if you believe, God will provide. At sunrise we limped into Santiago as conquerors. The cathedral was breathtaking and it felt like a homecoming. We reported to the registration office and after they’d studied our passports we each received a Compostela, a certificate to signify completion of the pilgrimmage. None of my degrees or other awards carried as much weight at that moment as the piece of paper on which I could hardly recognise my name. During the pilgrim’s mass in the cathedral, as if in answer to the voice of every victim of human trafficking for whom we’d completed the journey, the botafameiro was used. It’s a decorated silver container filled with 40 kg of coal and incense which is swung above the pilgrims. My soul won wings then and I realised that although we’d started the journey for others, it had changed me and each one of us forever. There are more people in slavery today than there ever were in the past; what are you going to do about it? If you would like to know more you can visit the A21 Facebook page as a first step. Thank you so much to everyone who supported us.